CORVALLIS, Ore. – As you clean the fireplace, do your plants a favor and sprinkle the ashes in the garden instead of throwing them in the garbage. Because wood ash is derived from plant material, it contains most of the 13 essential nutrients the soil supplies for plant growth, according to Dan Sullivan, OSU Extension soil scientist. "When wood burns, nitrogen and sulfur are lost as gas," he said, "but calcium, potassium, magnesium and other trace elements remain. The carbonates and oxides in the ash are valuable liming agents that can raise pH and help neutralize acid soils." Where soils are acid and low in potassium, wood ash is useful to most garden plants. Do not use ash if your soil pH is alkaline (more than 7.0). Do not apply wood ash to acid-loving plants such as blueberries, rhododendrons and azaleas. Lawns that need lime and potassium also can benefit from wood ash. Apply no more than 10 to 15 pounds of ash per 1,000 square feet of lawn. First, test your soil’s pH with a simple kit available at garden centers and home improvement stores. "Remember that wood ash is alkaline, which means it has a high pH level," Sullivan said. "You should use the same precautions with it as when handling other strongly alkaline materials, such as household bleach." Wear eye protection, gloves and a dust mask. Do not scatter ashes in the wind. Apply to moist soil and rake lightly to mix. 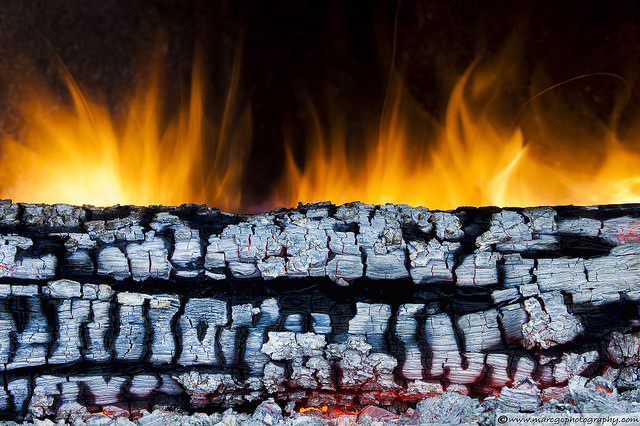 Do not use ash from burning trash, cardboard, coal or pressure-treated, painted or stained wood. These materials can contain potentially harmful substances. For example, the glue in cardboard boxes and paper bags contains boron, an element that can inhibit plant growth at excessive levels. Never leave wood ash in lumps or piles. If it is concentrated in one place, excessive salt from the ash can leach into the soil and create a harmful environment for plants. Do not apply ash at time of seeding. Ash contains too many salts for seedlings.